The most famous beach on the island of Pag in the Zrce is certainly Zrće.To Bay is a large bay near Novalja on the north-eastern part otoka.Plaža also gravel and is known on a global scale as a haven for young clubbers and wanting good fun and music. Beach offers a large variety of additional services and catering facilities, of which there are many, and which guarantee many musical performances and fun. The island of Pag is one of the one of the biggest Adriatic islands, a surface is 285 km2 which puts him in fifth place was the largest Jadrnaskih otoka.Zanimljivo the island of Pag with 270 km of coastline, the island with the longest coastline on the Adriatic, rich with coves, inlets , capes and beaches. Uvaluna largest island of Pag is rounded by 20 km of beaches. Pag is unique in its vegetation, the island is almost no trees.Pag may declare the largest kingdom of rocky ground that is crisscrossed by long stone walls, where thin grass, low aromatic herbs like sage and immortelle. This is exactly what herbs is essential in the diet of island sheep, giving a special taste of the famous cheese. The cuisine is first class sheep cheese and lamb, and various seafood. The land below the shallow bay hides yet another natural wealth, tested and proven medicinal mud.Pag offers unusual shapes, wild exoticism, gentle oasis, hiking trails and shallow bays to visit lasted several days. Travel north side of the island is recommended during the summer, and then suddenly rush out in a special world of rock and sea, anyone who has a little adventurous spirit in itself, can be special, memorable experience. A place where today is located, the city of Pag is built from 1443 the 1474th year. Until then, local people living in the old town, now an archeological site. King Bela IV In 1244, The city of Pag has awarded the status of free royal city in the 16th Pag century got its municipal statute. Pag is founded on the tradition of medieval architecture with a central square and four streets that the city is divided into four parts. 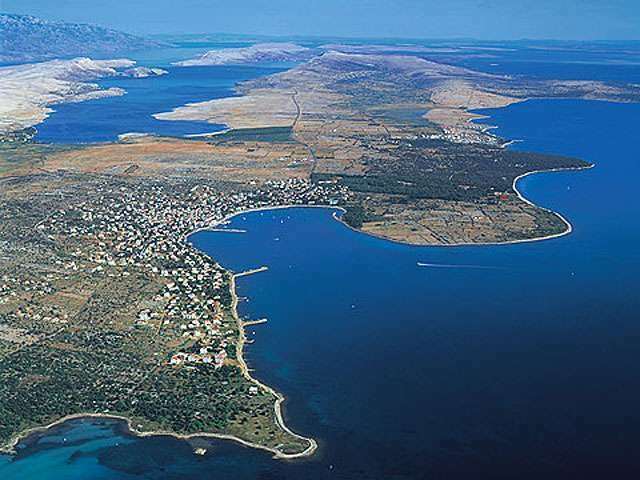 In the early 20th centuryPag is called expanding its walls, as a booming tourism 60 - in those years created new parts of the city Prosika, Vodice, Blato, Murvica, Bašaca, Sv. Jelena and Bošana. .